Exclusive SWAG Bag filled with all kinds of goodies! Tickets may not be eligible for refunds unless ticket insurance was purchased. 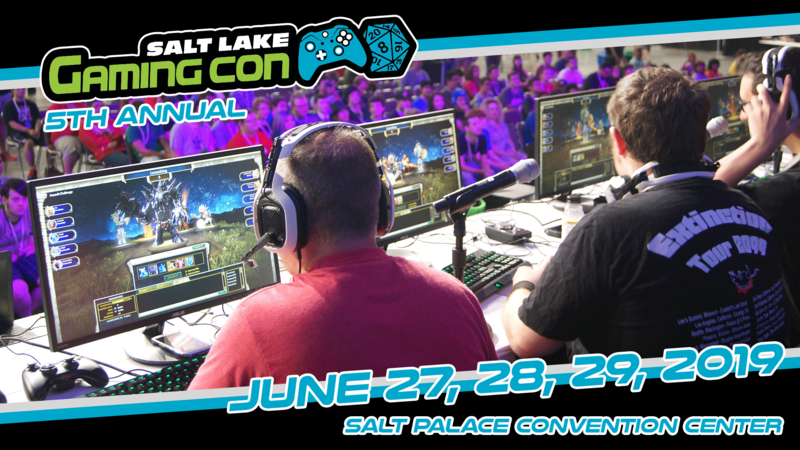 The 5th Annual Salt Lake Gaming Con returns! Join us for the 5th biggest gaming convention in the US. Last year was a huge success. This year we are moving downtown to the Salt Palace Convention Center and we have added a third day. Features include video games, board games, esports, copslay, rpg's, a kid zone, demos, exhibitors, and more! There are no specific product disclaimers related to this event.